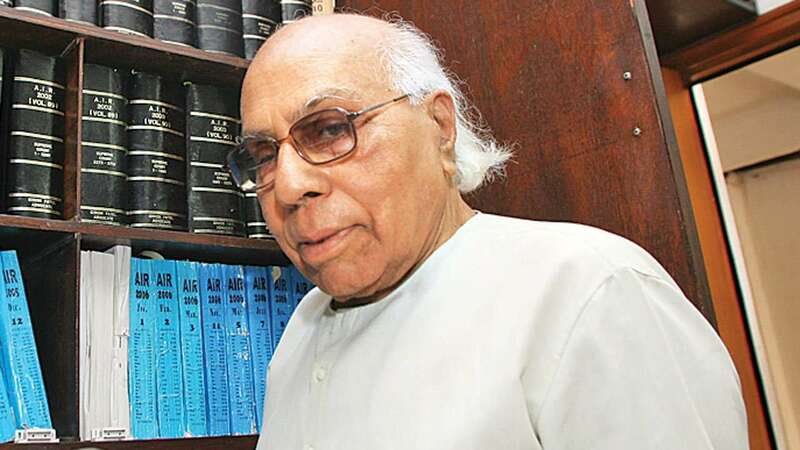 Human rights activist, lawyer, academician and a fighter for the poor, Girish Patel, 86, passed away early on Saturday. He was suffering from multiple age-related ailments. Patel, a Harvard alumni, who was admitted to Jivraj Mehta Hospital last week was brought back home after doctors ruled out chances of his recovery. He is survived by wife and two daughters. His associate and human rights activist Anand Yagnik along with other lawyers, activists and relatives visited his home to pay homage. His body has been kept in cold storage for three days as his son-in-law Sanjay Oza and grandson Parth Oza, both noted singers and musicians, are in the US. Lawyers and activists consider him as father of human rights and Public Interest Litigations in Gujarat. The concept of PIL was first introduced by Patel in 1986 when he filed a PIL demanding minimum wages for sugarcane workers of South Gujarat and won the case. Thereafter, PIL became popular in the country. He was known to have fought for the rights of labourers, poor and marginalised strata of society. As a lawyer, he is said to have never fought case for employers.The biggest case he recently fought was for displaced people of the Sabarmati Riverfront project and was instrumental in getting homes for them. Another famous case relating to appointment of Lokayukta in Gujarat was contested by him successfully against the government. The Modi government had challenged case of appointment of justice (retd) RA Mehta as Lokayukta of Gujarat by the then governor Kamala Beniwal. Starting his career as academician, he went on to become principal of IM Nanavaty Law College and then started practice in Gujarat High Court. Before entering into academics he took active participation in Navnirman students agitation. “This is a great loss for human rights activists and loss of a good friend personally. Though he was Harvard lawyer, he never opted for corporate practice and fought cases for workmen, poor, farmers, minorities without expectation of fees,” said Justice (rtd) AP Ravani of Gujarat HC. Patel was felicitated with Lifetime Achievemt Award by group of social and human rights activists who formed Girish Patel Sanman Samiti (GPSS) in 2009. Due to advancing age, Patel had quit practice in HC and joined academics at LJ law College as Director. “He was great jurist, thinker, revolutionary and champion for causes of poor people. An era ended with his demise,” said Jyotsana Yagnik, former judge and law academician. A lawyer who lived by his convictions passed away on the 6th of October 2018 in Ahmedabad, after a brief illness at the age of 86. Girish Patel, Girishbhai to most of us, pioneered the democratic and civil rights moment in Gujarat. Few would have expected this student of a municipal school in India to have graced the portals of one of the leading IVY-league universities in the US. Defying odds, Girishbhai did. He went on to do his LLM from Harvard Law School in 1958. With such an illustrious academic background, he could have easily pursued a lucrative career. Instead, he chose to be a people’s lawyer. After a short stint in teaching profession till 1975, he decided to practice law. Even before practicing law, Girishbhai had shown a penchant for activism by invariably siding with those wronged by the authorities. During the Navnirman Movement, he had stood by the students in their agitation against the unprecedented rise in prices. Later, when the then Prime Minister, Indira Gandhi imposed Emergency, he became its vocal opponent. This period also made him realise that human rights are not just the privilege of rich, but that its greatest victims are the poor and helpless. This concern made him launch Lok Adhikar Sangh, a people’s rights organisation, in 1977, in Ahmedabad. I first met Girishbhai in the early 1980s, during my years with Maha Gujarat Labour Union (a union set up by erstwhile comrade K V Kumar), of which Girishbhai was the president. During this period, with his selfless devotion to workers’ cause, Girishbhai had begun to devote himself earnestly to defending workers’ rights. But it was as president of Lok Adhikar Sangh that he began to get involved in much wider issues of social justice. He realised that an ordinary citizenry had no one to turn to for redressal of injustice done to them by the powers that be. He used his legal expertise to actively pursue their causes. In the process he drew both young and old to Lok Adhikar Sangh and with their support and limited resources he managed to do a lot in raising and addressing the issues of peoples’ rights in the state. For example, his commitment to protecting rights of the poor and discriminated, made him take up the cases of atrocities on Dalits, Adivasis and the religious minorities boldly, even periods of great strife. I remember one such incident in the 1980s, when a Dalit youth was lynched to death by upper caste goons, for loitering around a garba pandal, in their area, at night during a Navratri Festival. Girishbhai soon got in touch with the Dalit family with other Lok Adhiar Sangh members and filed a case against the perpetrators of crime in Gujarat High Court. The case lasted several years, but there was light at the end of the tunnel. Several in the lynch mob were held guilty. The main culprits received the death sentence, a few others a lifer and some several years in jail. The case went into appeal in the Supreme Court, but the country’s highest court upheld the High Court Judgment. 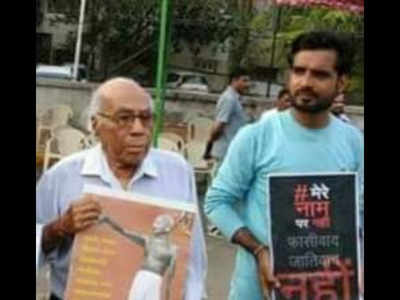 Darshini Mahadevai and Ghanshyam Shah, two Lok Adhikar Sangh members wrote for the thewire.in “Girishbhai combined social activism by participating in social movements for rights and the legal fight in the courts. For him, the ethics of a lawyer and social activist was not different. As a lawyer, he never took any case against Dalits, tribals, women and workers. His home was always open, not only to social activists, but also the poor who would come to him for advice on their rights”. Girishbhai was meticulous in his preparation. During his career he took up many PILs. He won some and lost some. But he always represented his clients with utmost commitment; often even without a payment for his services. For all his legal virtues, he knew the limitations of the law and never gave false hopes to any of his clients. As always he was brutally honest in his opinion. I remember clearly that in the 1990s Narmada Authority had got the permission from Sebi to raise funds through Narmada Bonds from the public. This was opposed by the Narmada Bachao Andolan activists. In fact they had filed a PIL against it in court. There was a great optimism in them that they had a slam dunk case against the Narmada Authority. This optimism had even spread to the affected oustees. Since I was asked to write about it by my news paper, I spoke to these activists and the impression they gave me was that they had a water tight case whose outcome they were certain would be in their favour. I realised that they couldn’t have been more wrong, when I spoke to Girishbhai. He frankly told me that the case had a little chance of succeeding on the legal grounds. But that did not stop him from using the case to awaken public consciousness to the social plight of the helpless. Girishbhai, encouraged the human values of cooperation, giving and sacrifice. He embodied the values that have kept society humane. He devoted himself to the human cause till the end. He will always be remembered for this selfless devotion for the betterment of society and for humanitarian values.